One of the most important parts of any essay is the title. It is generally the first thing an audience will notice about the paper. Therefore, it usually determines whether or not someone will be interested in reading what you have written. Titles do not always have to be catchy. For instance, the main purpose of the title in a research paper is to inform the reader what the paper is about, so that they don’t waste their time reading something that is irrelevant to their research. However, in more informal writing styles, catchy titles can attract a wider audience. This entry will give you tips on how to come up with a good title for the type of paper you’re writing, and hopefully clear up some common questions regarding titles. I’ll admit that I’ve often struggled to remember which words to capitalize in a title. Over the years, I’ve come to find that it’s a lot easier than you might think to remember the rules. 1. Always capitalize the first and last words in your title. Regardless of what the rules below say about specific parts of speech that should not be capitalized, capitalize them if they are the first or last words in your title. 2. These parts of speech should always be capitalized in a title. 3. Conjunctions and prepositions are generally never capitalized, unless they are 5 or more letters in length. However, it is completely optional whether or not you want to capitalize them even when they are 5 letters or more, as both ways are accepted. I choose never to capitalize these parts of speech so that I don’t confuse myself. Like with other optional rules in grammar, the key is to remain consistent. If you capitalize beneath in your first heading, and then leave against lowercase in another heading, your paper will look unorganized and inconsistent. 4. Never capitalize articles (the, a, an) unless they are part of a proper noun (or at the beginning or end of your title). As you can see, the first article is not capitalized, while the second one is. The Beatles is the name of the band; therefore, the should be capitalized in the title. 5. There is no particular rule about the use of numbers within titles. My recommendation would be to spell out numbers that are less than 20 and capitalize them. It is really only a matter of preference, so remain consistent. I’ve talked about informal writing styles in different blog posts. They differ greatly from research papers and formal essays. For that reason, their titles are going to be much different as well. Articles, poems, creative essays and personal narratives should have clever titles that would make someone interested in reading the paper. Assignment: Write about what you did last Christmas. The first example is an acceptable title, but it doesn’t really grab the attention of the reader. It clarifies what the paper is about, but a good title will do more than that. As shown in the second example, describing one specific event is a good way to grab a reader’s attention. Instead of making the title broadly about a family trip, it is better to narrow it down to one event that happened on the trip. This event could be funny, sad, and/or meaningful. The main purpose is to have a title that you wouldn’t find on any other paper. 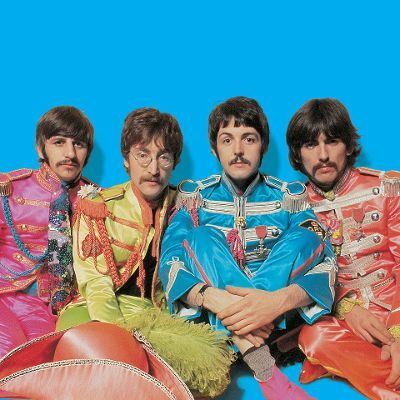 You want it to be unique enough that it stands out from the rest. Limit the title to 10 words or less, and don’t make it a complete sentence. This title has too many words, and it looks like it could be the first sentence of the paper rather than the title. If you’re having trouble coming up with a catchy title, try thinking of the main point of your paper and come up with words that all start with the same letter. This is called alliteration, and I used it in my example above (snowmen and skyscrapers, Christmas and Coles). There is something about repeating consonant sounds that tends to grab a reader’s attention. This method is just one easy way to come up with a good title. If I wanted to come up with a title for a paper that I wrote about a magical place called Pandora, I would create a list of related words that either started with a P or had repetitive P sounds. Then, I would come up with different ideas for a title. Generally, it is best to wait until your paper is finished before you try to think of a title. Even though it’s the first thing someone will read about your paper, it should be one of the last things you write. Anytime you have a subtitle, you should also capitalize the first word of it (no matter what part of speech it is). The format of your title or title page will depend on the instructions of your paper. Be consistent with the guidelines given for each paper format. If your professor does not require you to follow a specific format, it is best to center your title and have one space above the first paragraph of your main text. 1. APA title page guidelines can be found here. 2. MLA title page guidelines can be found here. 3. Chicago Manual of Style title page guidelines can be found here. These titles will generally be longer than informal paper titles. It is acceptable to go over 10 words, but only do it when it is absolutely necessary in order to get your point across. The sole purpose of a title for a research paper is to inform the reader about the topic of the essay. These titles do not need to be catchy or unique. Actually, they only need to be clear and concise. Recall that the audience of research papers is probably going to be doing research on that same topic. 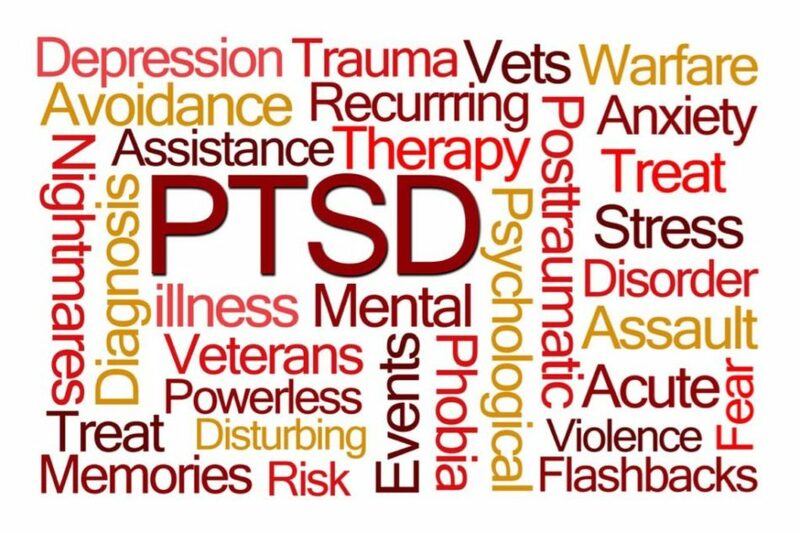 For instance, let’s say that I was assigned a research paper to be written on the effects of Posttraumatic Stress Disorder (PTSD) on veterans returning from war. I would start by reading articles that had been written about PTSD and the conclusions about its effects. 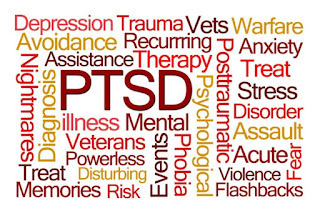 If I search in a database for articles related to PTSD, I might get a list of titles like the ones below. Given that all of these articles are based on research done on PTSD, it should be easy to understand what each article is about based on the title. The fourth title, Fear less, does not give specific clues to tell me what the article is referencing. In fact, this particular article is about a researcher who came up with treatments for veterans with PTSD, in order to help them cope with the disorder. This would be a great article for me to read for my assignment. However, due to the lack of information in the title, I would be more likely to skip over it because it isn’t clear whether I’d be wasting my time or not. After reading the other titles in my list, I don’t think the first three would be relevant to my paper, but the fifth one would definitely be worth reading. Next time you write a research paper, remember to make the title very clear about the topic of the paper. 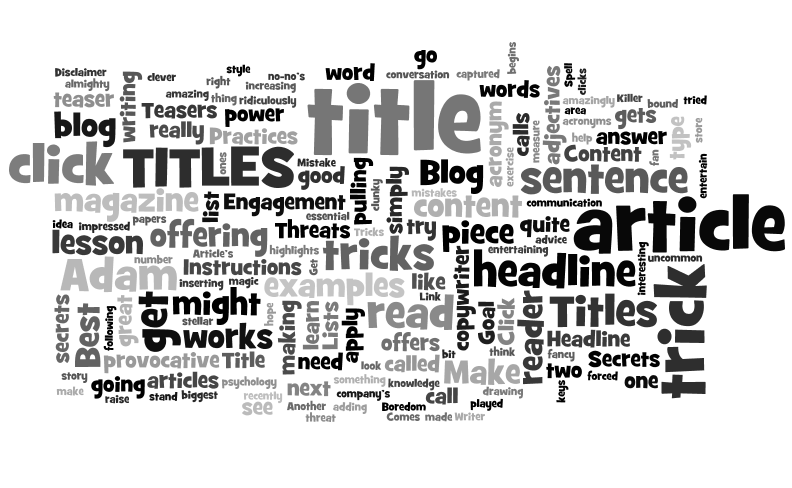 Save your creative and catchy titles for informal writing styles.